September 18, 2014, has come and gone. 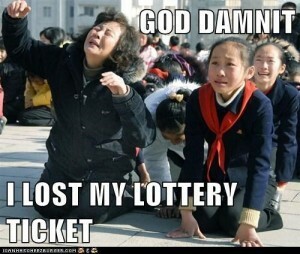 For most of us, the 17th was the all-important Wednesday US Powerball lottery draw. But for one person out there, the 18th was worth $1 million. Guess this will be a mystery that’ll never be solved – who exactly was the holder of the missing US Powerball ticket? And why didn’t he or she claim the prize!? What do you think happened to the lottery ticket? On the 18th of September, 2013, mysterious Mr. (or Ms./Mrs.) X bought a US Powerball lottery ticket in New Jersey, at the Convenience Express store. Lucky numbers 7, 10, 22, 32, 35 and Powerball 19 were the winning numbers. The ticket in question won the $1 million prize, but the prize was never claimed. Winners have one year to claim their prize – time has been ticking away for the past year and a little more than two weeks ago it finally and sadly run out for this lucky, but ultimately unlucky person. He or she lost the ticket. Big oops! This is most likely what happened, and it can happen to the best of us, so this is why you have safeguard those tickets! Mystery person didn’t realize the ticket was a winner. 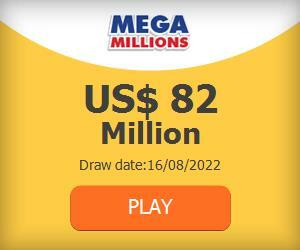 Possible, but less likely with all the media hype around the lotto. Forgot about the ticket. Sure, we forget things all the time. The dog ate it, it blew away, it got wet, et cetera. In the end, the explanation of what happened is not the most important thing. Point is that you have to look after your lottery ticket! Lock it away, file it, hide it in your mattress – or play US Powerball online, here at US-Powerball.com, in which case all this will be taken care of automatically! Do whatever it takes to keep it safe. After all, it could be worth a lot of money! $1 million, $100 million, or possibly even more! $70 million at stake in Wednesday night’s Powerball draw! After two rollovers, the jackpot in our favorite lottery has moved up to $70 million – definitely a prize that is worthy of your attention! Make sure you buy your Powerball tickets in the next 24 hours, so you actually have the chance of winning the jackpot or one of the many secondary prizes! UK players – take a shot, too! Obviously, you don’t have to leave your house – you can play from the comfort of your own house, sofa even! The excitement is still the same, and the same goes for the joy you’ll feel when you win a gigantic Powerball prize!